About Me: I led my community’s fight for clean air and we won! Clean Air Health and Justice vs. Tonawanda Coke Corp.
On March 28th, 2013 twelve jurors found Tonawanda Coke and its environmental control manager guilty of 14 criminal charges violating the Clean Air Act and Resource Conservation and Recovery Act. Some of the charges included releasing coke oven gas, containing enormous amounts of benzene, into the air through a pressure relief valve and not reporting the emissions to regulators. This landmark verdict is only the second time in US history that a company has been indicted and convicted under the Clean Air Act and has set precedent for a number of environmental cases to come. Justice was served in our community. It all started with a few of us wanting to breathe cleaner air and wondering if air pollution was the cause of so many sick people in our community. In 2005, we formed the Clean Air Coalition and used a 5-gallon bucket from Home Depot, baggies and a hand-held vacuum to test our air. We found shockingly high levels of benzene, which, with chronic exposure, is linked to blood disorders like leukemia, and infertility. Our small group of impassioned citizens worked with government agencies and others for our right to breathe clean air – and we won! In 2011 and 2012, Tonawanda Coke was forced to install air pollution devices. Benzene emissions at the facility were reduced by 86%. We were now breathing cleaner air; however, the fight was not over. We feared there were still other dangerous contaminants coming from Tonawanda Coke. 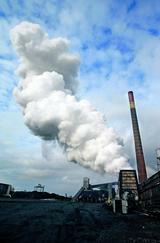 We knew Tonawanda Coke did not have particulate reducing emission controls on their facility. This particulate organic matter (POM), which is very similar to soot from a fireplace, is a significant portion of coke oven emissions and has been identified in the 1990 Clean Air Act Amendments as a hazardous air pollutant (HAP) and is classified by the USEPA as a known human carcinogen. We also heard numerous stories of how particulate matter was depositing on property and interfering with the quality of life of our community members. Was Tonawanda Coke contaminating our soil too? 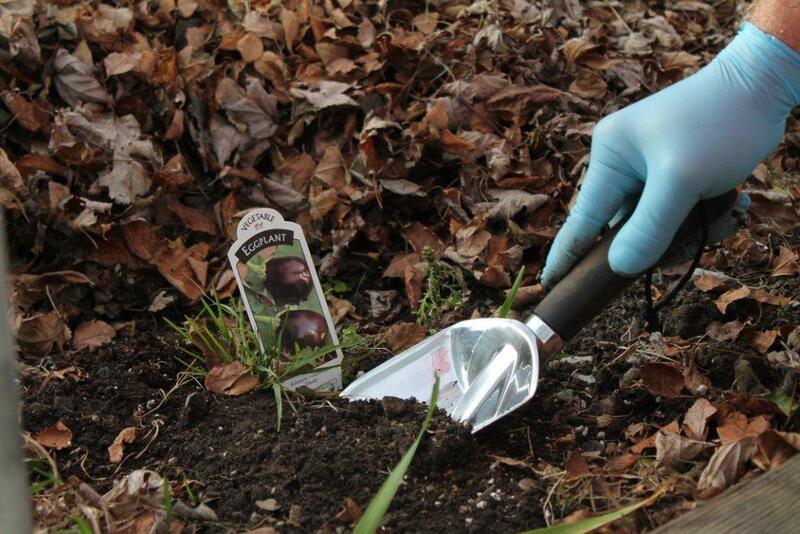 In 2012, two of my neighbors and I grabbed a shovel and a few jars and sampled our soil and sent it to a nearby laboratory to be tested. In a neighborhood adjacent to Tonawanda Coke, we tested seven yards and found dangerous chemicals in every one! The class of chemicals we found called polycyclic aromatic hydrocarbons (PAH), includes many known carcinogens that are associated with foundry coke production and POM. In a subsequent study in the summer of 2013, after recruiting students from Kenmore East and Kenmore West High School to help out, we sampled and tested several more yards. The same PAH’s were discovered in these yards too. 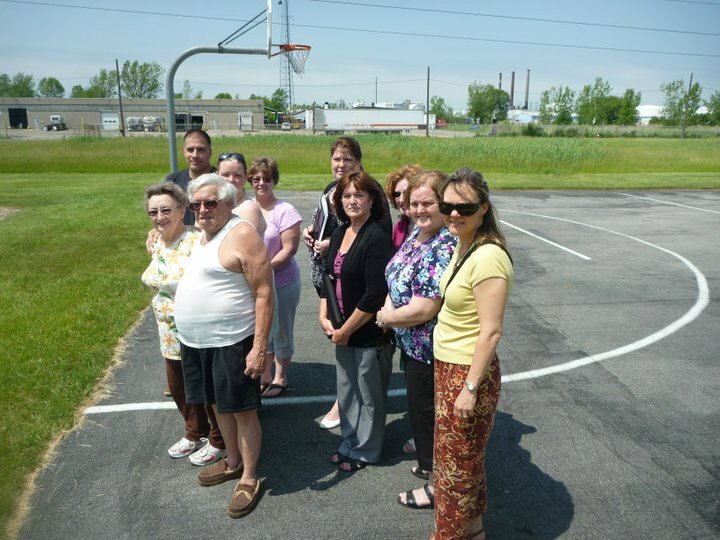 Last year before the sentencing of Tonawanda Coke Corp., we petitioned the court to keep any fine monies local. Using the data obtained from our soil study, we submitted a proposal entitled “Determining the Environmental Impact of Coke Oven Emissions Originating from Tonawanda Coke Corp. on Surrounding Residential Community” to the Judge in the case, Mr. William Skretny. On March 19, 2014 Tonawanda Coke was sentenced and ordered to fund our study in the amount of $711,000! The company was also fined $12.5 million and ordered to fund an $11 million University at Buffalo Epidemiology and Toxicology study. This is the first time in history a Federal Judge has ordered community service projects as a term of probation against a company found guilty of a criminal act, and it happened here in our community! Additionally, Tonawanda Coke has agreed to install “pushing emission controls” to reduce the particulate matter coming from the facility. The project is expected to be completed late 2015. Rep. Brian Higgins, who represents our district, said he credits an “engaged, enraged and educated” community with the sentencing decision. In April 2014, Tonawanda Coke appealed the sentence and community service projects. It will be six months to one year before we receive our funding and it is also possible the judges ruling will be reversed in appeals court. Regardless of this delay, we are wasting no time. Today, we are working out the final details of our summer 2014 projects and continue to remain vigilant against a company that is still operating with a history of committing serious environmental crimes. Additionally, besides violating the Clean Air Act, in 2010, Tonawanda Coke violated the Clean Water Act too. In the same year, the Environmental Protection Agency issued an order against the company for discharging cyanide in excess of their permit. 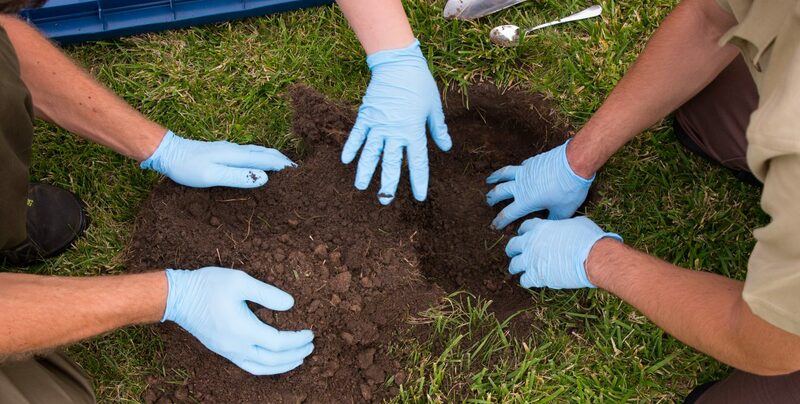 My neighbors and I, now calling ourselves Citizen Science Community Resources, believe in our right to live, work and play in a safe and clean environment. We have already won a major battle against a company with a “catch me if you can” attitude. Our fight has taken 10 years thus far and we continue to stay committed to the journey for as long as it takes. I can’t believe I am still writing about this. It’s been nearly 15 years since I unexpectedly became an environmental activist wanting to figure out why so of my neighbors and I were sick. 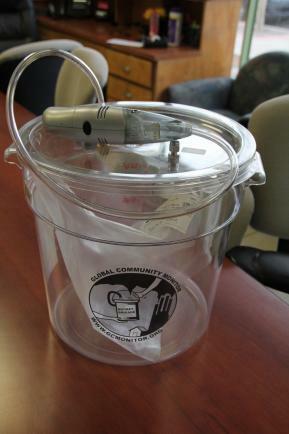 We retrofitted a Home Depot® bucket into an air sampler and ended up discovering the deadly chemical benzene. Working with the NYS Department of Environmental Conservation (DEC), we discovered that a significant amount of our toxic air was coming from a local factory called Tonawanda Coke. Long story short, Tonawanda Coke has long overstayed their welcome and we want them gone! Whether the latest air pollution results detect an elevation in air toxins or not, we don’t care. We gave them a second chance after the new management took over a few years. But since this time, our community continues to be on guard and we have a constant “on the edge of our seat” feeling whether or not there will be another upset or violation at the plant that we must endure. Would you please help our people to Unite to Shut Down Tonawanda Coke ? I woke up this morning, another day with Fibromyalgia. And to tell you the truth, I was feeling sort of sorry for myself. It is very tiring living with this chronic illness every single day. The pain is excruciating. I have chosen only to take pain killers when I absolutely need to and dont take regular meds because of the side effects. I practice yoga and meditation instead. 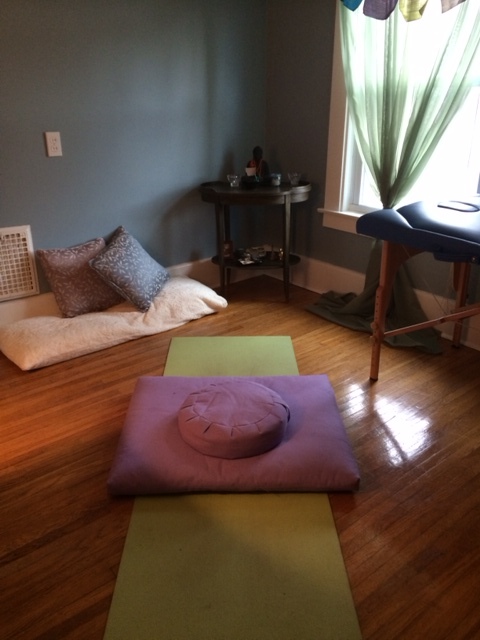 I have a meditation room that I have dedicated to my healing. Getting back to what it is like living with fibromyalgia. When you have pain all the time, you can get pretty depressed and sometimes anxious , and oh it affects your sleep too. Stress makes it worse and if you’re not careful, you can end up in a tail spin going downward and end up in bded for several days. Like I said, it can get depressing. So, I was having one of those depressing mornings today, I was even crying. I decided to write about it , and here I am. I was going to write how horrible I feel all the time, when I was diagnosed, etc..It was going to be all about me and my fibromyalgia I opened up my computer and for some reason I started reading a few of the many impact statements I received from some really sick people in Tonawanda and Grand Island, NY. I read this one statement of a woman living on the eastern portion of Grand Island, NY. She lives right across the river from Tonawanda Coke Corp. I can’t even imagine what this must be like loosing two children! I have two teenage boys and this is inconceivable for me. As I read this woman’s story, the pain of my fibromyalgia seemed almost insignificant to the pain this woman must go through every single day of her life. The grief and guilt she must feel while wondering if she had chosen not to live near Tonawanda Coke, her children may be alive today. This is true pain. When I realized how Tonawanda Coke has affected so many people in our community and all the pain and suffering, my pain seemed pale in comparison. Gaining perspective literally made my issues subside. I physically didn’t feel so bad anymore. I am serious. What happened? When I realized I was a part of something bigger, I felt better. We cant turn back the hands of time and bring back all of the lives that have been lost and remove all of our sickness. But, I can accept the everyday challenge of getting out of bed and living with this illness knowing that despite of my illness and because of it, I made this world better. If it wasn’t for the fibromyalgia, my neighbors and I would have never taken that bucket sample of air that led to holding this company accountable.. All the good we did to make our community a better and cleaner place to live, would not have happened. There was truly something especially good that came out of my illness. Remembering this, allows me to accept my pain. Now, I can get out of bed and start my day. After years of hard work, on March 19th, 2014 our community sighed a bit of relief after Judge Skretny sentenced Tonawanda Coke and its environmental control manager, Mark Kamholtz, at the Federal Courthouse in downtown Buffalo. Tonawanda Coke was found guilty in March 2013 of breaking 14 federal laws under the Clean Air Act and the Resource Conservation and Recovery Act. Mr. Kamholz was found guilty on the same counts and on an additional count of obstruction of justice. Although the maximum sentence was not imposed against Tonawanda Coke, Judge Skretny forced the company to fund two environmental community studies totally $12.2 million!! His decision was historical and also included $12.5 million in fines for violating the Clean Air Act and Resource Conservation and Recovery Act. This is one of the largest fines ever levied in an air pollution case involving a federal criminal trial. Judge Skretny’s decision also included sending Mr Kamholz to jail for one year and a day plus a $20,000 fine! “People living and working in the Tonawanda community were exposed to toxic coke oven emissions that may have serious effects on their health and I commend the hard-working residents who have stood up to a major local polluter,” said Judith A. Enck, U.S. Environmental Protection Agency Regional Administrator. And what is the message Judge Skretny is sending to all those other industrial polluters that try to put profits ahead of people? To continuously poison a community and try to cover it up, is unacceptable. Please take a moment to thank Judge Skretny for sending this message loud and clear by signing this petition letter: Judge for Punishing Deadly Polluter – ForceChange. When National Public Radio really did interview me for their story NY Plant’s Neighbors Expose Regulatory Gaps (click here to listen) they stopped short of reporting on the specifics of how we did this. That’s why I am writing this blog, to share with you the “Whole Truth” from the very beginning of my 12 year journey. What my neighbors and I did was absolutely amazing and maybe you can try what we did, feel inspired and make our world a better place too. That’s it. Pretty simple, right? You may have already heard this, and perhaps you thought yeah, sure, OK, big deal. A few people and maybe even one person has the power to make a difference, blah, blah, blah. Well, this turned out to be a very big deal in Tonawanda. But, first I am going to let you in on a secret that, aside from a few close friends, few people know. Stay tuned and read my post next week, where I will share with you “my secret”….btw- if you have any questions, feel free to subscribe to my blog and ask! I live on Rogers Avenue in the city of Tonawanda, less than 2 miles from the Tonawanda Coke plant. I have suffered from multiple eyes, ear, nose and throat infections and burning when Tonawanda Coke put ammonia and benzene in the air. I have Hoshimoto’s Auto-immune disease of the thyroid, complicated by nodules on the thyroid. I had to have my gall bladder removed because of a severe infection. I am still seeking medical attention for my chronic conditions. I have watched my son, since birth; go through multiple ear infections, chronic sinus problems. He is still seeking medical attention for his conditions. Because of no baffles in the quench tower, it made it impossible to enjoy our back yard, with pool and hot tub. There was always a horrible smell followed by a burn. There was a black oily film on the pool and tar balls floating around. I had to wash white siding almost every day with Dawn soap to remove the oil clinging to it. It always looked dirty and yellowish until I cleaned it. Our windows had to be cleaned constantly so we could see out, if not there was an oily film giving an appearance of fog. The constant cleaning has significantly shortened the life of the siding and of our windows. 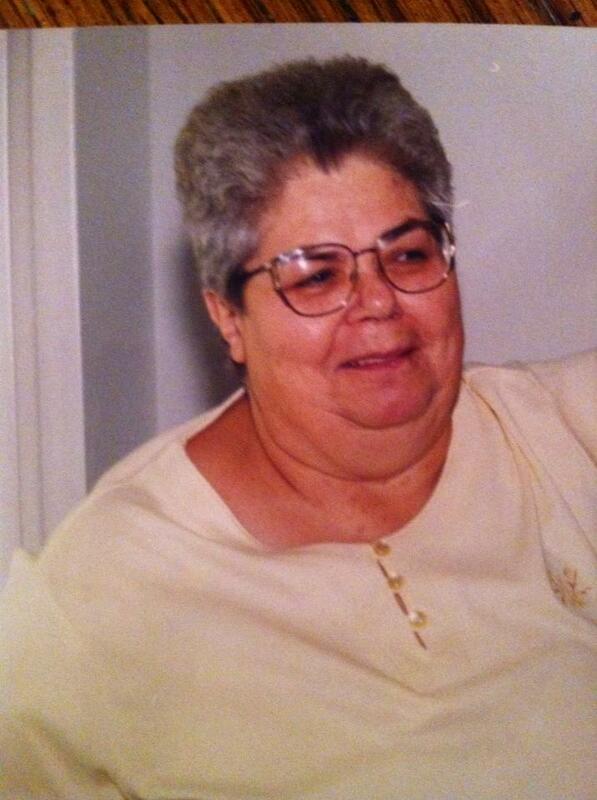 I lost my mother Joyce Hoffmann, who lived on Hackett Drive, October 30, 2006. I watched her go to the hospital many times in her last 4 years of life. She suffered so much pain from having to have multiple blood transfusions. Her heart just couldn’t take it anymore. Every day I have to go on without my best friend, see my son miss his Nana all the time, she missed my son’s college swim career and his college graduation. She will miss him getting married and having his own children. I feel cheated that she missed so much already and she will miss our family’s future happy events, there is always an empty chair for her. I feel Tonawanda Coke and Mark L. Kamholtz should be punished to the fullest extent of the law. I feel they have hurt me and my family. The blatant disregard for the laws and the community is appalling. The disregard for human health and lasting effects on our community is unforgiveable. I am one of many; please sentence them to the maximum allowable by the laws of the United States. Tonawanda Coke Corp. Found Guilty! On March 28th, 2013 twelve jurors found Tonawanda Coke and its environmental control manager guilty of 14 criminal charges violating the Clean Air Act and Resource Conservation and Recovery Act (RCRA). The trial included testimony from over 30 witnesses, many former employees, and lasted over a month. This landmark verdict is only the second time in US history that a company has been indicted and found guilty under the Clean Air Act – and has set precedent for a number of environmental cases to come. “The verdict against Tonawanda Coke Corporation and Mark L. Kamholz sends a strong message that companies and individuals can’t simply ignore environmental law and disregard people’s health.The company faces up to $220 million in fines and Mr Kamholz up to 75 years in jail. A historical case, no doubt. I never thought in a million years that the air sample my neighbors and I took with the “bucket” several years ago would have lead to this. But it did! Never underestimate the power of a couple of committed and impassioned citizens to affect change. We did it, and I truly believe others can too. 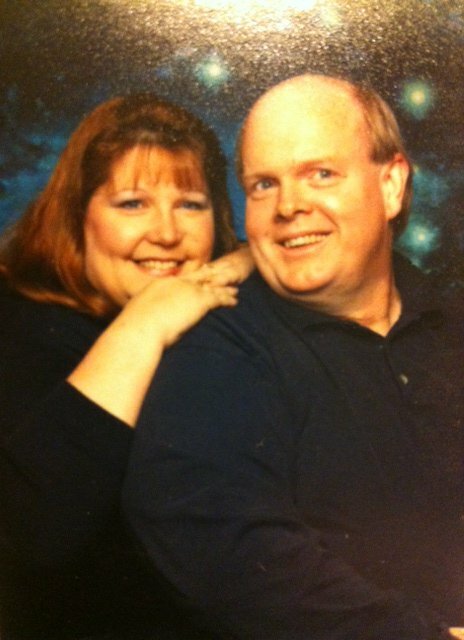 In 1995 my husband and I bought our house at 363 Esser Avenue/146 Newfield St. (Riverside). If we had known what was ahead of us we never would have moved into this neighborhood. Shortly after moving in we were dismayed by brief yet intense and frequent onsets of a foul, heavy, acrid, tar-like stench that that shifted with the wind. The odor was bad enough to wake us from our sleep and forced us to close all of our windows, even on the hottest of nights. Sleeping in the heat and stink was unbearable. It gave me immediate headaches and constricted my breathing. It reached a point that we finally gave up and installed central air conditioning, just to be able to sleep. Even then “the stink” would find its way into the house and wake us up. During the day the offensive smell was frequently so disgusting that it forced us indoors. I would be outside gardening, enjoying the birds or swimming in the pool and then without notice, the air would become unbearable and I would have to rush indoors and close all the windows. Most evenings we would go to Isle View Park in Tonawanda to walk the dogs along the river and get some fresh air. Our walks were increasingly ruined by the same odors we encountered there as well. Before long we were checking the wind direction to see if it was “safe” to go to the river for our walk because if the wind was coming out of the SSW we learned we would be caught in its reeking path. All of this made me incredibly angry and depressed. I am an outdoors person – in the summer I spend the majority of my days outside. In the winter we walk our dogs daily no matter what the weather. Tonawanda Coke was ruining our quality of my life. My doctor advised me to move and we seriously considered selling our house and moving. But who would want our house and why should we move? We were not the cause of the problem! Six years after moving to Riverside, in 2001, I met Jackie James and with a handful of people we formed Toxic Tonawanda (which became the Clean Air Coalition of WNY). Our goal was to identify and expose the source of the pollution that was ruining our enjoyment of the outdoors. Over the first few years we met monthly and got organized. Our first public event was a “bucket brigade” training where we taught people how to make their own air sampling devices out of 5 gallon paint buckets, a hair dryer and some simple hardware. Soon after that we took air samples near Tonawanda Coke that revealed high levels of benzene as well as ammonia and held press conferences releasing the data we had obtained. We wrote to Don Crane, the owner of Tonawanda Coke, politely asking for a meeting withhim to discuss our concerns. In return, we received a letter from his attorney refusing our simple request. In short, because of Don Crane and Tonawanda Coke’s unwillingness to meet with us or to control their pollution we spent countless hours pouring over records of Tonawanda Coke at the DEC office, on the phone or on the street canvasing and recruiting new members to get involved. Because of his arrogant refusal to do the right thing we held monthly community meetings and recruited people in the neighborhoods to join in and persuaded UB professors, DEC, and EPA officials to help us in our fight to stop Don Crane’s Tonawanda Coke from ruining our lives. Collectively core members of our group spent thousands of hours and personal resources working for justice. Our intention as a group was never to shut down Tonawanda Coke, but to work together with them to clean up their operation. We asked them to be good neighbors and they would not even grant us the human courtesy of talking to us. What is most infuriating is that none of this was necessary. TCC could have controlled their emissions if they cared about anyone or anything besides the bottom line. Although my health has not been seriously compromised, dozens if not hundreds suffer chronic illness because they live (or lived) too close to TCC. These people are seriously ill because Don Crane and Mark Kamholz refused to take responsibility for their criminal actions. We urge the court to fine Tonawanda Coke the maximum allowable under the law and to make an example out of Mark Kamholz by sending him to prison. Doing otherwise would send a message to others that theirs was not a serious criminal offense. These are not victimless crimes. Many have suffered and many will continue to suffer because of Tonawanda Coke’s decision to act in a reckless and endangering manner. “We wanted to know what was in the air we were breathing, so a few of us started a Bucket Brigade in Tonawanda”, explained founding Clean Air Coalition of WNY (CACWNY) member Adele Henderson. It was just four of us, we were the Clean Air Coalition on a mission to find out what was making us sick! In 2005, we tested our air with the bucket, a community environmental and empowerment tool, and found high levels of carcinogenic benzene. 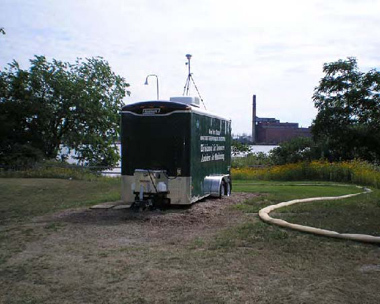 We shared our data with the the New York Sate Department of Environmental Conservation (NYS DEC) and worked closely with them to secure state of the art air monitors to find out how bad our air really was. In 2009 after collecting and testing our air for one year, the NYS DEC determined our community was overburdened by air toxins and we needed cleaner air! They produced a research report pinpointing Tonawanda Coke Corp., a merchant foundry coke manufacturer, as the predominant source of benzene in our community. Our community was now armed with hard scientific data. Using this information along with political and public pressure and the media (we rallied outside the gates of TCC), Tonawanda Coke was forced to install air controls resulting in an 86% reduction in benzene emissions. Many found our story an inspiration. We caught the attention of national media and were featured on NPR, click here to listen. Today, we are breathing cleaner air in Tonawanda and all of Western NY because a few of us decided to test our air with the “bucket”. It did not take an army , only a few passionate and committed citizen scientists to affect change! 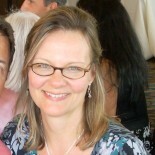 After our big victory in 2010 , I was exhausted and very sick (I have fibromyalgia). I needed a break and decided to leave the Clean Air Coalition. Not realizing it at that time, my environmental activism career was not over with. 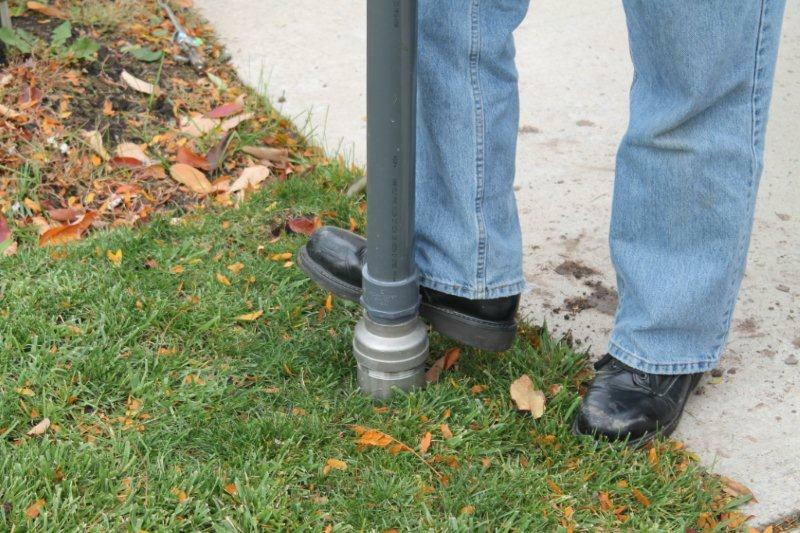 A few years later, I would move from air (buckets) to soil (dirt) testing in my community! Forward to 2012. I was contacted by a reporter in Birmingham, AL concerning a community north of their city, where two foundry coke manufactuer reside, and how they tested their soil and found high levels of a dangerous chemical called Benzo[a]pyrene (BAP). Check out the reporters investigative report “Deadly Deception”. I immediately questioned, could our soil be contaminated too? At the same time, people in a neighborhood just south of Tonawanda Coke complained of of a black gooey substance depositing on their vehicles and burning holes in the paint! click here to check it out. Could this stuff be the same contamination found in Birmingham? Maybe, I needed to find out. So, I started the Tonawanda Community Fund to pay for soil testing. I enlisted a few of my neighbors (not the same Bucket Brigaders) and we tested our soil. We collected soil samples from this playground …..
and 5 homes in the neighborhood. We also collected a background sample at Beaver Island State Park. Each soil sample, a composite of 6 sub samples, was tested at Test America (Amherst, NY) for 16 polycyclic aromatic hydrocarbons (PAH), including BAP, and 8 heavy metals. The same dangerous chemical (BAP) found in Birmingham was also found at high levels in Tonawanda! BAP and BAP equivalents or BAP-TEQ is a measurement used to determine the total toxicity effect of polycyclic aromatic hydrcarbons (PAH’s) in soil. In Birmingham, the EPA is currently using a value of 1.5 ppm and higher as criteria for cleaning up their soil. 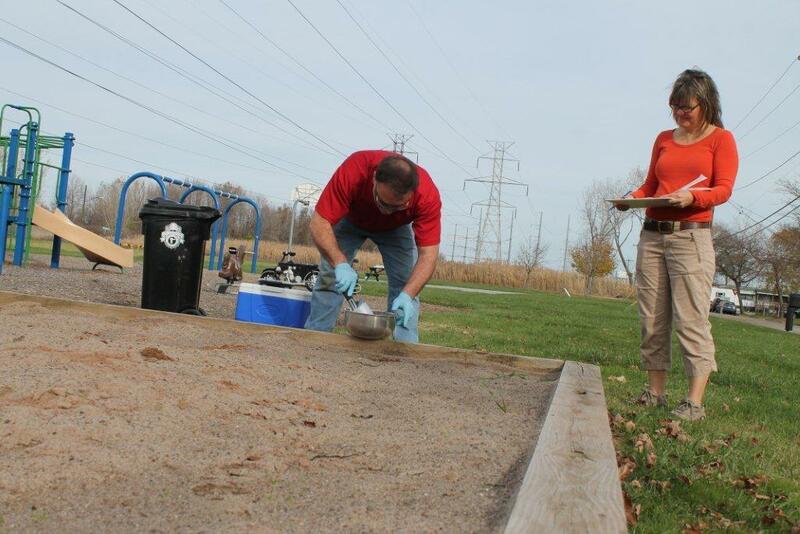 Three out of seven samples in the Tonawanda study would trigger clean up if in Birmingham! We need Tonawanda Coke to install controls to reduce our exposure to BAP (from air). We need more testing to determine the extent of BAP soil contamination in the neighborhoods most affected (Tonawanda’s, Eastern Grand Island, North Buffalo). On January 29, 2013, we presented our findings to the media at a press conference in Tonawanda. We already have the support from many politicians (Legislator Hardwick, Assemblyman Schimminger, Senator Grisanti, Tonawanda Town Supervisor Caruana, so far). In May 2013, we began discussions with our government officials (EPA and NYS DEC), and possible funding sources to test the soil in and around Tonawanda’s industrial corridor; however, in the meantime, we wasted no time. This past summer, in conjunction with the University of Buffalo and SUNY Fredonia and several local highschool students, we tested several more yards in the area. We expect results by Nov 2013. 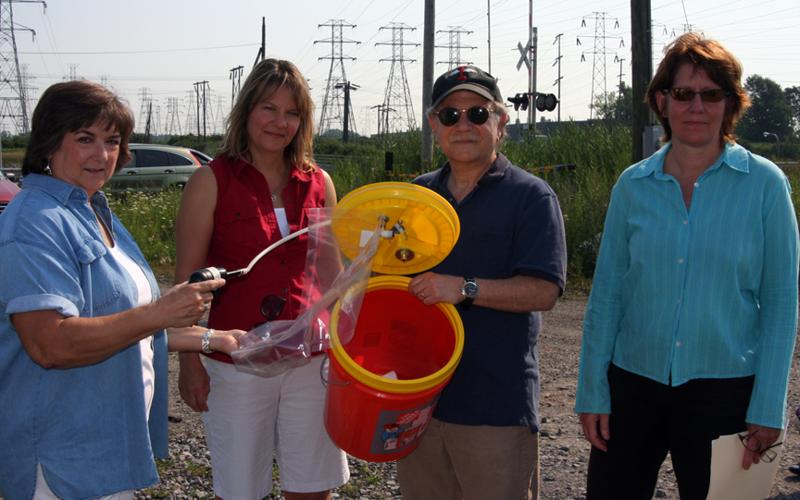 Once again, because of citizen science, we are on our way to a cleaner and healthier Tonawanda and Western New York! About Tonawanda Community Fund was established in 2011 by Jackie James-Creedon, founding member and former executive director of the Clean Air Coalition of WNY, to support her neighbors who have been affected by Tonawanda’s industrial pollution. Through outreach, grants and donations, the fund provides financial means to help the Kenmore/Tonawanda, NY and surrounding communities by continuing scientific environmental monitoring, protecting environment and improving overall health. Disclaimer: This site is written and edited by Jackie James-Creedon. Users may copy and redistribute the material in any medium or format. Users may also remix, transform, and build upon the material, even commercially, under the following terms: you must provide credit to me, a link back to this site, and an indication as to whether or not changes were made. If you choose to redistribute, you must do so under the same conditions. This site accepts advertising, sponsorship, and paid insertions promoting products, services, practices, and practitioners that I endorse. I may also be compensated to provide my opinion on products, services, websites and various other topics. However, the views and opinions expressed on this blog are purely my own. I will only endorse people, products, or services that I believe, based on my expertise, are worthy of such endorsement. Any product claim, statistic, quote or other representation should be verified with the owner, manufacturer, or provider.